Fuel efficient passenger Van. When riding this Van, the driver and passengers take advantage of an airy, open cockpit with excellent sight lines, supportive seats for long rides. This Van is very nimble to drive, thanks to its uni-body structure. This Transit's powertrain is designed to help give you the right balance of power and efficiency, plus proven Ford ruggedness and dependability. 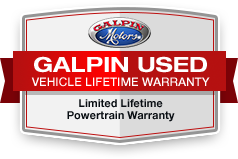 Drive home in your New pre-owned Transit with the confidence of knowing you're fully backed by Galpin's quality and reputation. This Transit is a well-kept, spotless vehicle, as clean as it was when it left the factory. Call us today to own this tough passenger Van and experience 'Galpin Used Car Difference'. All figures are EPA estimates. Actual mileage will vary. Kelly Blue Book values are calculated based on the current Retail Book. Pricing analysis performed on 3/6/2019. Please confirm the accuracy of the included equipment by calling us prior to purchase.